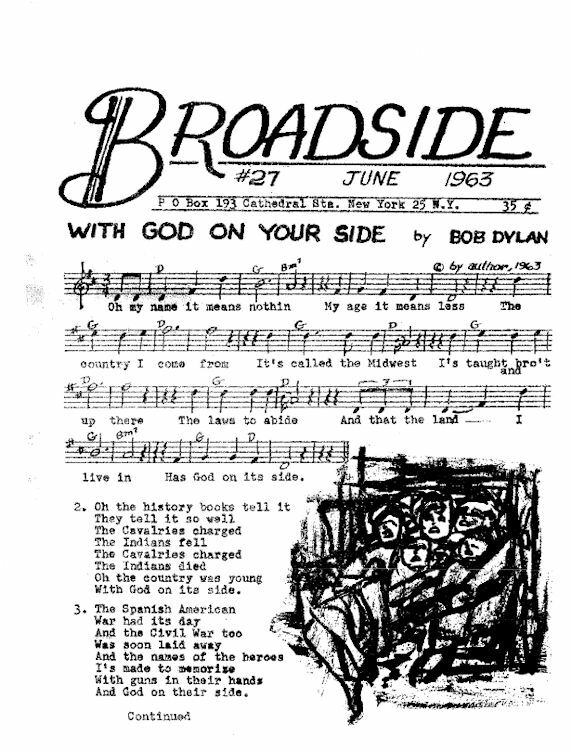 'Broadside magazine was a small mimeographed publication founded in 1962 by Agnes "Sis" Cunningham and her husband, Gordon Friesen. 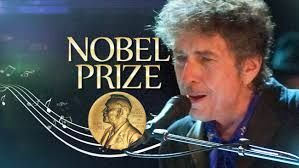 Hugely influential in the folk-revival, it was often controversial. 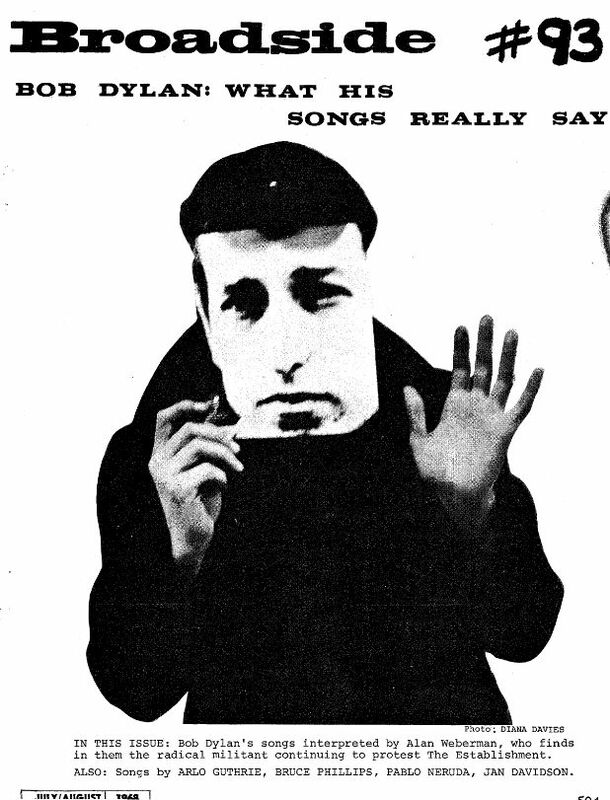 Issues of what is folk music, what is folk rock, and who is folk were roundly discussed and debated. At the same time, Broadside nurtured and promoted important singers of the era. 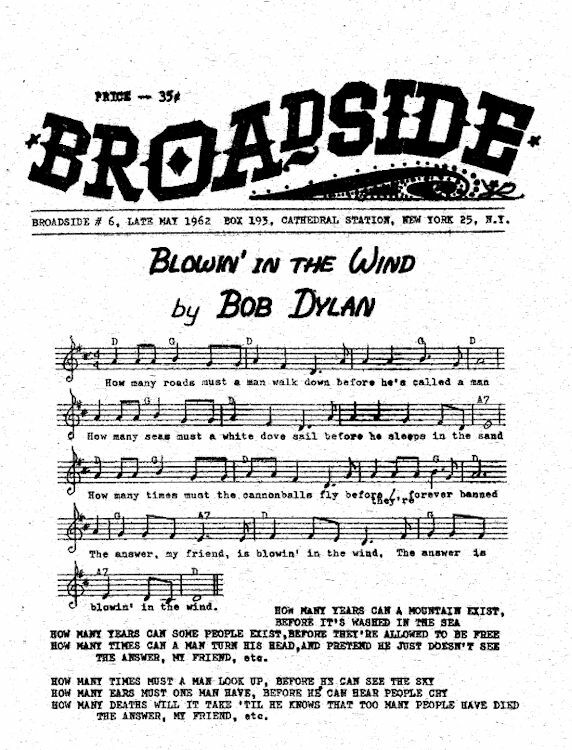 The whole Broadside collection can be read here. 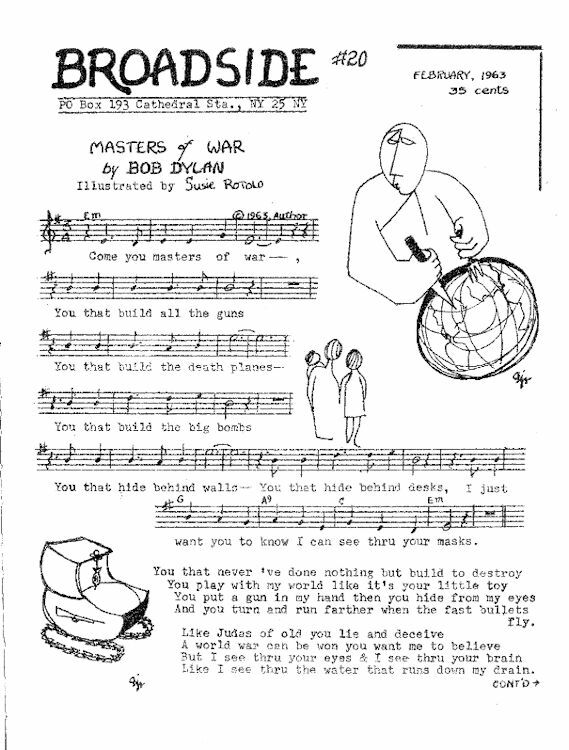 #6, 24 May 1962 (New York) , 1 page. 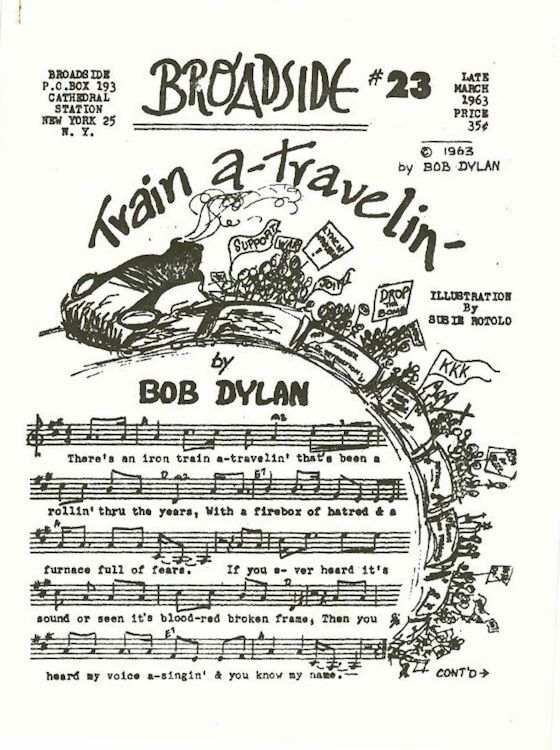 #20, February 1963 (illustrated by Suzie Rotolo) 3 pages. 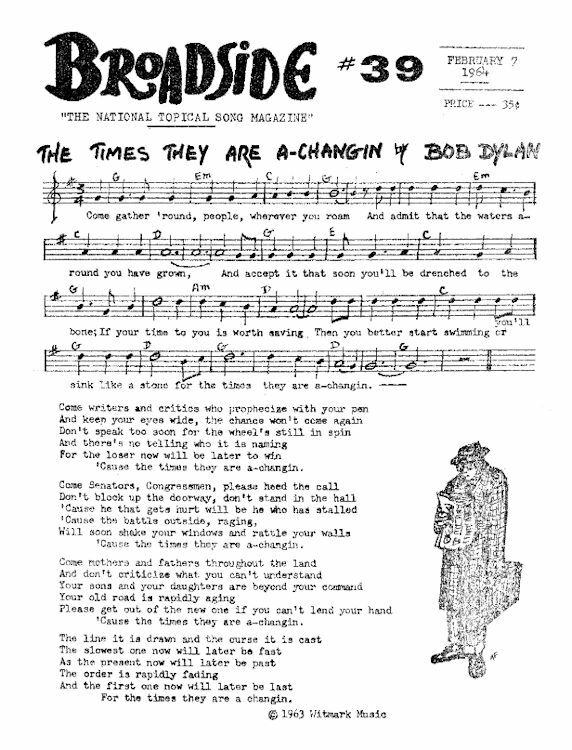 #27, June 1963, 2 pages. 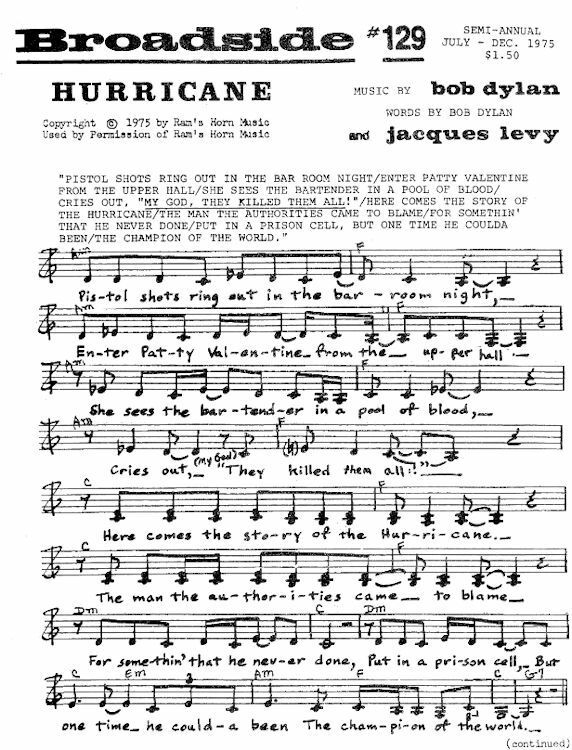 #39, 7 February 1964, 1 page. 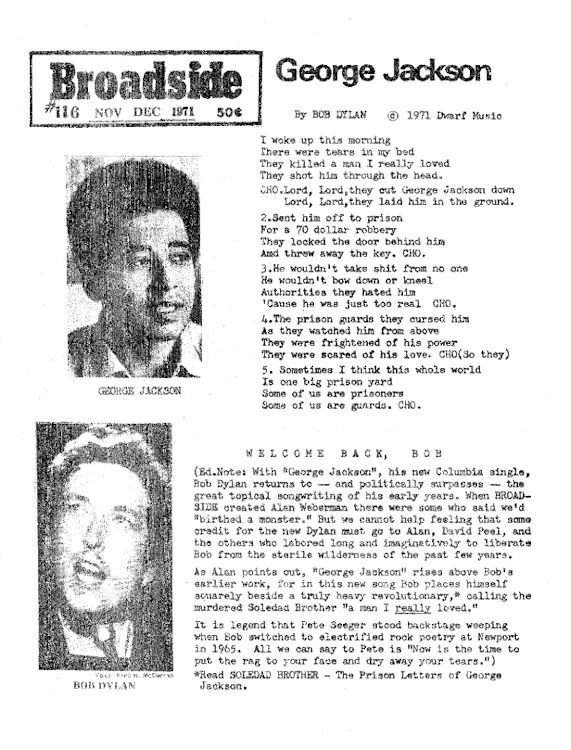 #93, July/August 1968, 7 pages. 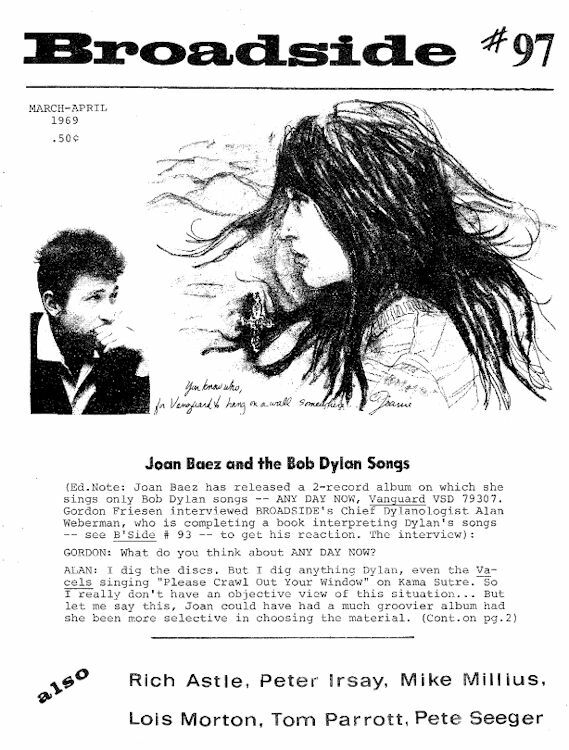 #97, March/April 1969, 2 pages. #116, November-December 1971, 3 pages. 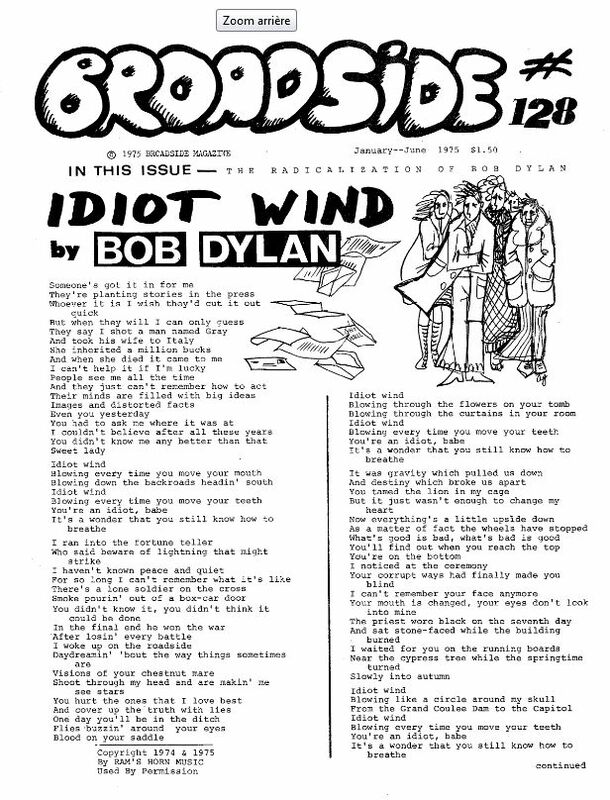 #128, January-June 1975, 2 pages. #129, July-December 1975, 4 pages.